I was having lunch with some friends at Duke’s Malibu the other day, when the most bubbly and charming woman came over to greet us. It turns out that she was Kathy Kohner Zuckerman, the inspiration for the Gidget book, film and television series. 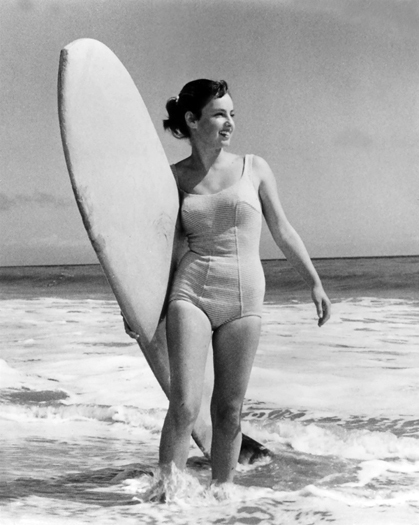 Kathy started surfing in Malibu in the late 1950s and her father, Frederick Kohner, chronicled her adventures as a model for the beloved character Gidget. If you happen to be driving through Malibu, Kathy is now the ambassador of aloha at Duke’s, and is there every Tuesday and and Sunday. Frederick Kohner’s, Gidget, has been re-released and is available on Amazon HERE.